Running in the wild is not only super fun, but it is great for improving muscular performance and overall, recharges you as a runner. The best way to maintain your forefoot running form during those challenging trail runs is to wear a shoe that allows you to feel where you are stepping, so you can react fast and avoid injury. With that in mind, here is my trail running shoe guide for forefoot runners. Vibram FiveFingers Trek Acsent LR – Fits like a glove and the hemp/leather upper provides enough insulation and rock protection for trail running in the winter, the Trek Ascent LR has the most underfoot padding of all the other Vibram barefoot shoes, which is why the Trek’s feel so comfortable. They are also very roomy and can be worn with toe socks for added warmth. Skora Fit – Zero drop, lightweight, soft and comfortable with a super durable quality upper for rock protection, the Skora Fit has a solid constructed outsole that doesn’t trap tiny pebbles. The Fit is more for long distance trail runs and accommodate runners with very wide feet. Vivobarefoot EVO Lite (Women’s only) – Made for any terrain, is water-resistant, and has the most underfoot cushioning of all the Vivobarefoot minimalist running shoes. The EVO Lite was also voted the most comfortable Vivobarefoot running shoe, too. Vibram FiveFingers Spyridon LS – The Spyridon LS has a very aggressive tread that will grip to any wet, sandy or muddy surface, giving you a solid, stable landing. 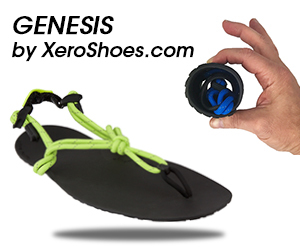 The outsole is thin and you can feel the rocks you step on without any pain! Overall, the shoe fits like a glove and the toe sockets are super flexible, allowing you to grip down onto the running surface. 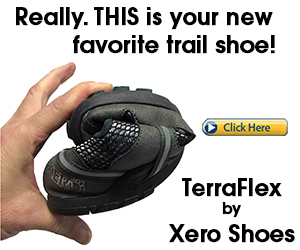 Telsa Trail Running Shoe – These shoes are virtually the twin of the Merrell Vapor Glove, but are less costly! The Telsa’s are made of very thin materials, allowing the shoe to breathe well and allows flexibility in the forefoot. 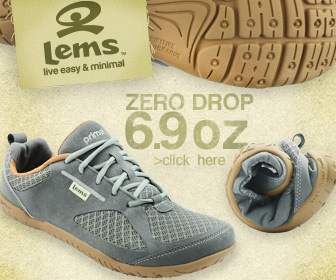 They are also zero-drop, helping you avoid heel striking. Skora Phase- X – Perfect for endurance trail runners because these puppies last well over 500 miles! They are similar to the Merrells, but feels softer, more plush and has a thicker outsole and a wide toe-box, ideal for runners with bunions. Merrell Trail Glove 3 – Thinner and lighter than previous Trail Glove’s, the Trail Glove 3 weighs next to nothing, but contains a bit more cushioning than most minimalist trail running shoes. nonetheless, the Trail Glove 3 is an excellent choice for supreme durability for rocky trails. Vibram FiveFingers KSO EVO – The rigid, rubber outsole provides excellent traction for the trails and wet surfaces, but still delivers tons of sensory feedback to the foot, giving you better forefoot strike precision. What is Forefoot Running – See how exactly you should be landing on your foot during running. Go Barefoot – You don’t need shoes to run and here’s the many reasons why. Shin Splints – What are they and how can they be stopped. Modern Running Shoes – Your feet don’t work properly in these shoes and the worst part about such footwear is that they impair running form. A Runners Diet Should Include Ginger?